Back fat can be quite stubborn. Those unsightly bulges on your back would make your new dress look less appealing. The good news is that the lifestyle and diet changes discussed in this article will help you eliminate back fat forever! Salt is a very important seasoning. It affects a food’s flavor, texture, and color. And even though this seasoning is seemingly harmless, salt can turn out to be the culprit behind bloating and sudden weight gain. 40% of table salt is made up of sodium. A teaspoon of salt contains about 2,200 milligrams of sodium, and the recommended sodium intake per day is 2,300 milligrams. Consuming more than the recommended salt intake can heighten blood pressure and intensify cravings, which can lead to binge eating. Sodium-filled foods may be tough to resist at first, but with enough discipline and perseverance, it can be done. So if you’re looking to get rid of water retention and bloatedness quickly, limit, if not completely stop, yourself from consuming salty foods. A lot of us are probably already well-aware of the health benefits that green tea has. Green tea is packed with nutrients and antioxidants that can provide good effects on our overall health. Green tea is also known to have fat-busting effects on the body. Without a doubt, green tea is an extremely powerful type of tea, but it is actually inferior to its cousin, matcha tea. Matcha is obtained from the same plant as a regular green tea. But unlike regular green tea, matcha comes in the form of powder and is more concentrated. 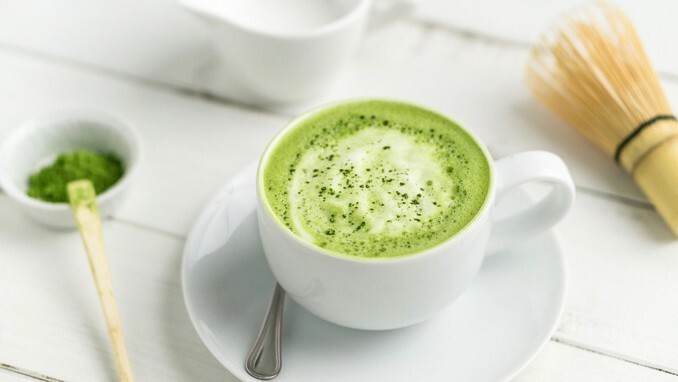 Studies show that matcha green tea contains more EGCG, a powerful antioxidant that helps increase levels of the hormone called Cholecystokinin, than regular green tea. A study also suggests that drinking matcha after exercising increases the chances of burning fat and calories by up to 20 percent. So when you can, choose to brew matcha tea or make smoothies and shakes that contain matcha powder over other options. This will not only aid in trimming back fats but also improve your overall health. You’re probably thinking that this idea is simply absurd. How exactly does using chopsticks when eating help trim back fats? Research suggests that using chopsticks instead of fork slows down a person’s eating process and can prevent a person from overeating. Experts explained that it takes at least 20 minutes for the human brain to process that you’re already full. So when you eat using a fork, it’s easier and much faster to fill the stomach within the given time-frame. But don’t get it twisted, this isn’t a pass for you to indulge in Chinese fast food. If you’re the type of person who loves to eat carbs, then your chances of losing your back fats are low. Don’t get me wrong, carbs are necessary to the body. However, there are bad carbs and there are good carbs. So as much as possible, only eat the good carbs. One of these “good carbs” include sweet potato. Sweet potatoes and white potatoes are equal in terms of carb count, but sweet potatoes contain lower calories. Apart from that, sweet potatoes are also very rich in fiber which makes then lower to digest. A sweet potato can keep you full and energized for a long period of time. So instead of snacking on potato chips or regular fries, make your own sweet potato fries, chips, etc. Due to hectic schedules, many people choose to just buy meals outside than prepare one at home. However, meal prepping is most probably the best option to do in order to ensure a clean and healthy diet. It will definitely require a little bit of sacrifice as you’ll be forced to wake up earlier than you usually do to prepare your meals. But once you get used to it, you will slowly realize that it’s worth it. You will have the power to choose everything that goes into your food and you will also spare yourself from crumbling to temptatious foods. 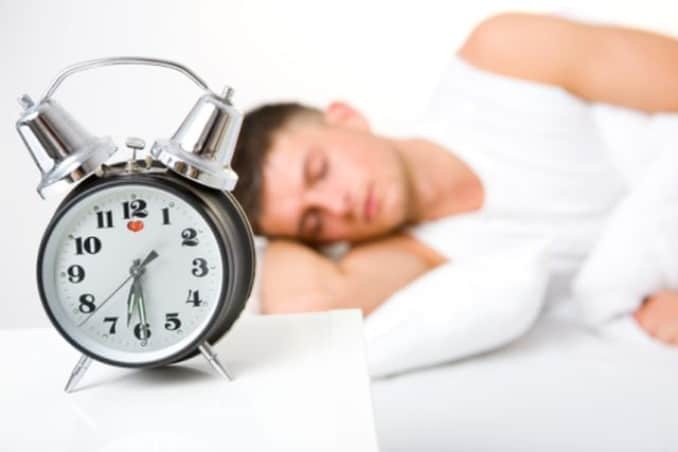 Inadequate sleep can result in a decrease in leptin production. Leptin is the hormone that impedes hunger, so lower levels of it mean more cravings for you. Scientific approaches have already proved that an irregular sleeping schedule causes significant changes in our hormones. This can result in an even bigger appetite and chances are, you’re going to end up binge-eating. So if you’re looking to lose back fat, you’re going to have to work on your sleeping schedule. Fiber is widely recognized for its properties that can improve a person’s digestive health. Fiber-rich foods can help promote digestive movement and can bulk stool, so it is harder to suggest which means you’ll remain full for a decent period of time. It’s also great for people who struggle with irregular stool. Great sources of fiber include oats, peas, lentils, onions, barley, artichokes, leeks, brussels sprouts, rye, broccoli, and many more. So if you’re aiming to prevent yourself from craving too much, include fiber-rich foods in your daily diet. When the body is inflamed, it’s much tougher to trim down fats. Processed foods, artificial sweeteners, added sugars, and refined flours can cause chronic inflammation. This will not only contribute to weight gain but can also affect your digestive and comprehensive performance. You may often find yourself feeling drowsy and unable to focus and be productive after eating the previously mentioned foods. So cut them off and snack on foods that are anti-inflammatory and rich in antioxidants instead. Examples of anti-inflammatory foods include berries like blueberries, strawberries, raspberries and dark chocolate. Getting rid of your body’s inflammation will help you trim back fats faster. Oftentimes we feel like we’re very hungry, but we’re really just dehydrated. It may be quite a struggle to drink 8-10 glasses of water, especially because it can result in continuous bathroom visits (to pee). Water can fill your stomach up and keep you hydrated throughout the day. If you feel like plain water is too bland for your liking, you can choose to add slices of lemon, lime, orange, and cucumber to your water. This practice can also help detoxify the body.